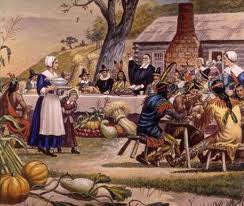 This "thanksgiving" feast was not repeated the following year. Many years passed before the event was repeated. 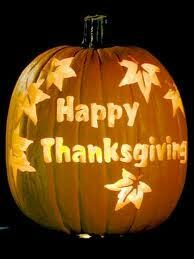 It wasn't until June of 1676 that another Day of thanksgiving was proclaimed. On June 20 of that year the governing council of Charlestown, Massachusetts, held a meeting to determine how best to express thanks for the good fortune that had seen their community securely established. By unanimous vote they instructed Edward Rawson, the clerk, to proclaim June 29 as a day of thanksgiving. It is notable that this thanksgiving celebration probably did not include Native Americans, as the celebration was meant partly to be in recognition of the colonists' recent victory over the "heathen natives. By then, it had become apparent to the settlers that the natives were a hindrance to their quest for more land, so the good will they shared at the first feast had long been lost. The Council has thought meet to appoint and set apart the 29th day of this instant June, as a day of Solemn Thanksgiving and praise to God for such his Goodness and Favour, many Particulars of which mercy might be Instanced, but we doubt not those who are sensible of God's Afflictions, have been as diligent to espy him returning to us; and that the Lord may behold us as a People offering Praise and thereby glorifying Him; the Council doth commend it to the Respective Ministers, Elders and people of this Jurisdiction; Solemnly and seriously to keep the same Beseeching that being persuaded by the mercies of God we may all, even this whole people offer up our bodies and souls as a living and acceptable Service unto God by Jesus Christ."